ใช้งานง่าย ได้ผู้สมัครตรงใจ เพียงเริ่มใช้ระบบการจัดการสรรหาบุคลากรของ jobsDB โฉมใหม่วันนี้! Finding the right talent is difficult when you don’t have the right set of tools to do it. That is why jobsDB remains committed to giving you all the tools, features and support you need to succeed. Powerful tool More powerful than ever, the Recruitment Centre helps you do everything in one place with ease, speed and efficiency like you’ve never experienced before. User-friendly features A host of user-friendly features ensure that you can easily do everything on your own – from posting job ads to processing candidates. Excellent support Take advantage of the excellent customer support that jobsDB provides and get all the help you need to find more relevant matches. 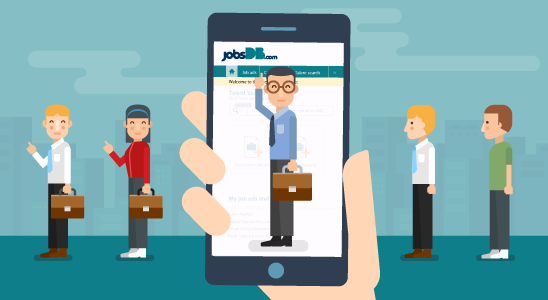 Get what you need to succeed with the new and improved jobsDB job ads!